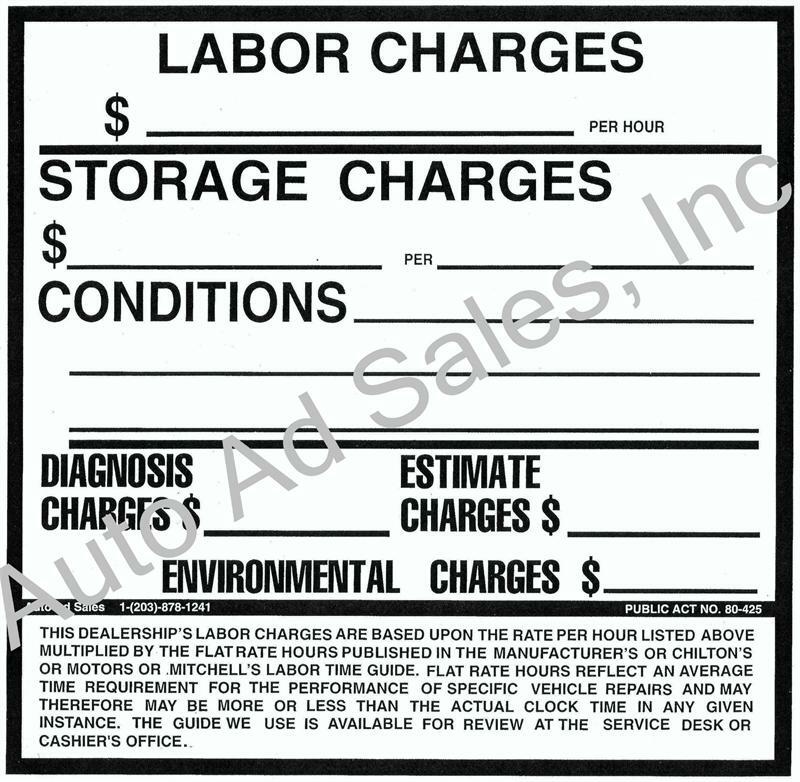 Labor Charges / Storage Charges and Conditions. 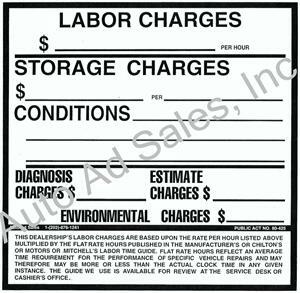 Required For All Connecticut Used And New Car Dealerships And Repair Shops. Must Be Posted In Service Area Where It Can Be Seen By Service Customers. 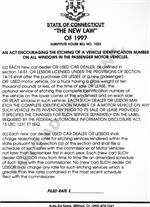 Motor Vehicle Right Of Estimate. Consumer Sign. Sold Separately. Sign - " Due To Insurance Regulations"
Made of 55 Mil Polyethylene 4 Holes To Hang with Suction Cups For A Window Or Nails For a Doorway. Driver Identification Cards, Required By Connecticut State Law, Must Be Issued By Dealer To Any Employee Who Drives Using A Dealer Or Repairer License Plate. Must Be Reissued Every 6 Months. 2 Part Form, 50 Per Package..
Vin Etching Kit. Do It Yourself Vin Etching Kit. Comes With Stencils And Vin Etch Cream. In Stock And Ready To Ship.